Nokia 7 is one phone that promises users exciting experience at a price that is friendlier than that of the flagship Nokia 8. The Android device boasts robust and elegant design, heavy-duty processor, abundant RAM, and dual camera. If you look at the Nokia 7 closely, you will notice the premium feel. The design features 7000 series aluminium and diamond-cut edges. The profile is slim at 7.9 millimetres in thickness. This is a phone you’d wish to flaunt before your friends. The Nokia 7 sports a 5.2-inch display with Full HD resolution of 1,920 x 1,080 pixels. A pixel density of roughly 424 ppi means you can expect super sharp images. The device has robust Corning Gorilla Glass 3 on the front and back. 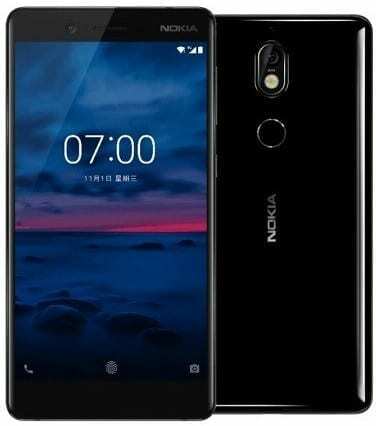 The Nokia 7 is another mobile phone to consider if you are not in the market for one that offers dual cameras on the rear. It offers a 16MP lens on the back and a 5MP lens on the front. You are looking at a phone that boasts Carl Zeiss optics. If you have used such in the past, you can tell the quality on offer here. The primary camera should serve up quality images in poorly lit settings with an f/1.8 aperture and dual tone flash. It boasts phase detection autofocus and 4K video recording capability. A 5MP camera takes care of your selfie needs. This has an aperture size of f/2.0 and features autofocus. A Qualcomm Snapdragon 630 chipset featuring eight cores takes care of all the heavy lifting in the Nokia 7. It runs at speeds up to 2.2 GHz and pairs with an Adreno 508 graphics solution. You also get 4 GB or 6 GB of RAM onboard. Expect games and movies to run fluidly on this one. Internal storage capacity is 64 GB. If that is not enough, the Nokia 7 takes a microSD card with capacity of up to 256 GB for expansion. It boots Android 7.1.1 Nougat OS that is scheduled for upgrade to Android 8.0 Oreo. If you are a privacy freak, there is a fingerprint scanner on the rear for an extra layer of protection. The Nokia 7 supports USB OTG and has a reversible USB Type-C connector. It offers an impressive array of connectivity options, including dual-band Wi-Fi, Bluetooth 5.0 and NFC. A 3,000mAh battery provides juice and has a rating of up to 15 hours of talk time. Nokia 7 also supports for fast charging. Nokia 7 is not yet available in Nigeria, Kenya, or Ghana. It started shipping worldwide on October 24 starting at a price of around $377. We currently have no data on pricing and availability for Nigeria, Ghana, or Kenya. When available, Nokia 7 Price in Nigeria is expected to range from 145,000 Naira to 175,000 Naira depending on your location.